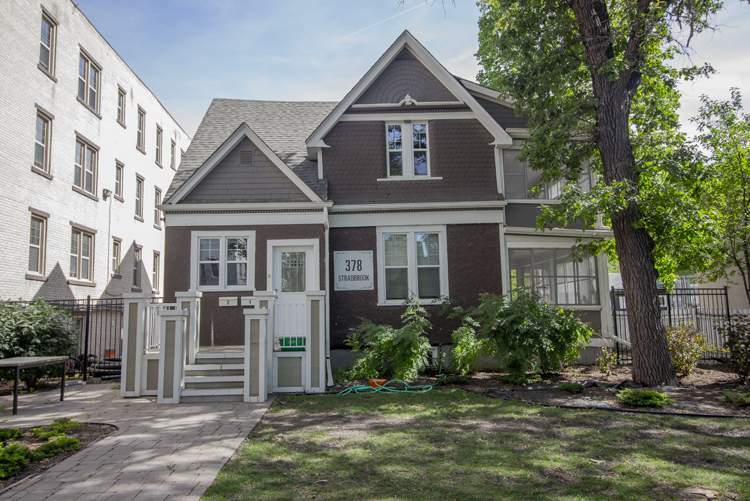 The Stradbrook House on 378 Stradbrook Avenue is a spacious house rental unit. The Osborne Village Community is known for its vibrant, artsy and hip neighborhood. It encompasses some of the best tapas bar & pub restaurants, local boutiques shops, yoga studios, and live music in the city. The Stradbrook House features spacious suites with a beautiful kitchen and bathroom with modern finishes, refinished hardwood flooring, ornamental fireplace and mantel, updated windows and blinds, modern ceiling fan and central air, stainless steel appliances including dishwasher, in-suite laundry and large three season sun-room. A wonderful place to call home with modern updates, hip, and urban convenience. This apartment building is a cat and a small dog-friendly building.